새순의 싱그러운 그린 컬러를 담은 슈퍼 스프라우트 세럼은 발아 생명력을 한 병에 응축하여 담은 프리메라의 아이코닉 상품입니다. 프리메라 제품의 컬러에는 각각의 의미가 담겨 있습니다. 펌프와 캡에 적용된 soil brown은 씨앗을 틔워내는 대지의 색상이고 용기에 적용된 그린컬러는 대지 위에 솟아나는 새순의 싱그러움을 담고 있습니다. 이는 흙과 식물의 색상을 직관적으로 노출하고 흙이 모든 식물의 근간이 됨을 표현함과 동시에 흙 위에서 자라는 다양한 식물, 꽃, 열매의 풍부한 색상을 표현한 것입니다. 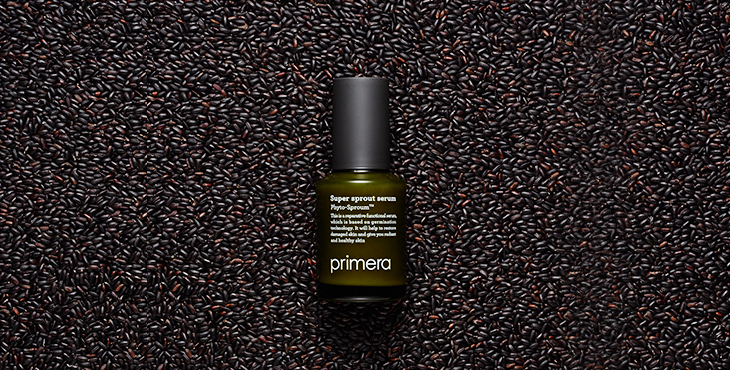 Depicting the fresh green color of a plant sprout, Super Sprout Serum is the iconic product of Primera that has a sprout’s vitality condensed in one bottle. 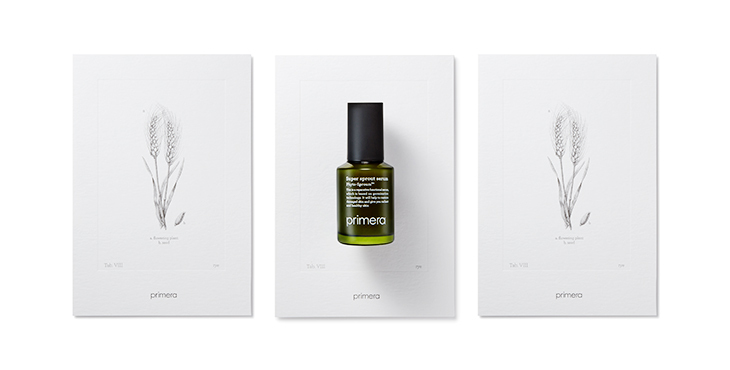 Each color of Primera products has its own meaning. The soil-brown color of the pump and cap is the color of the earth that makes the seeds sprout, and the green color of the container expresses the freshness of the sprout that grows on the earth. 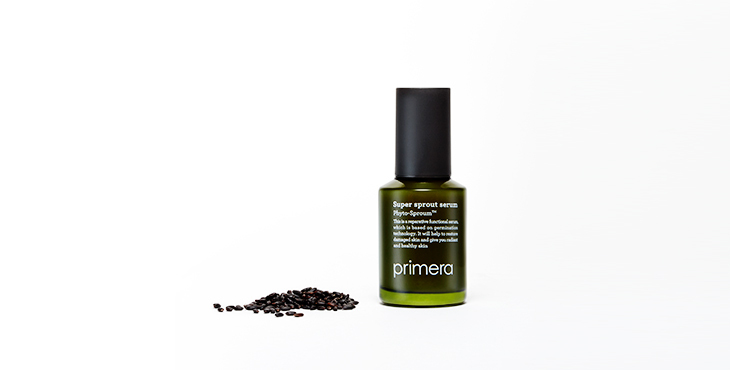 Super Sprout Serum denotes that the soil is the root of all plants and expresses the rich hues of various plants, flowers, and fruits growing on the earth.